Moving away from the Menswear scene but still remarkably inspiring to us is the worldwide brand Aesop, who we were lucky enough to get the chance to put some questions to recently. Owner and Founder Dennis Paphitis kindly took some time out of his busy schedule whilst traveling to sit down and entertain our questions, sharing his vision for the company and the principles that Aesop embody. 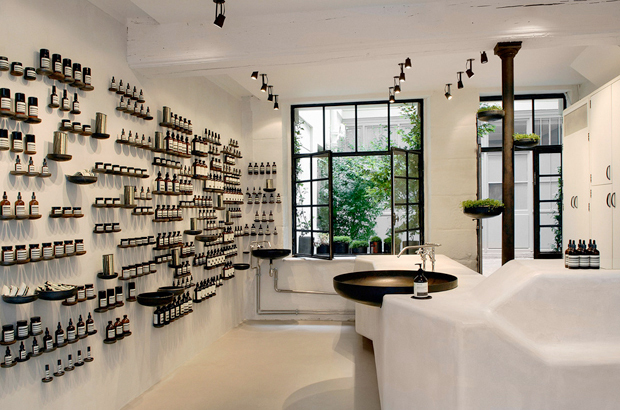 Dennis developed a line of skin, hair and body products in the late 80s and by 1987 Aesop the brand was born. He built the company on a passion for creating beautiful products that are surprising, sensitive and distinctive, today they are recognized by millions of people around the world as a leader in the Luxury cosmetics market. If you have an appreciation for any product that is designed with the finest simplicity and quality, I think you’re going to enjoy reading via the link below.